This article is about local public transport vehicles running on rails. For other uses of "tram", see Tram (disambiguation). A tram (also known as tramcar; and in North America known as streetcar, trolley or trolley car) is a rail vehicle which runs on tracks along public urban streets, and also sometimes on a segregated right of way. The lines or networks operated by tramcars are called tramways. Tramways powered by electricity, the most common type historically, were once called electric street railways (mainly in the USA). However, trams were widely used in urban areas before the universal adoption of electrification; other methods of powering trams are listed below under "History". Today, most trams use electrical power, usually fed by an overhead pantograph; in some cases by a sliding shoe on a third rail, trolley pole or bow collector. If necessary, they may have dual power systems — electricity in city streets, and diesel in more rural environments. Trams are now included in the wider term "light rail", which also includes segregated systems. The English terms tram and tramway are derived from the Scots word tram, referring respectively to a type of truck (goods wagon or freight railroad car) used in coal mines and the tracks on which they ran. The word tram probably derived from Middle Flemish trame ("beam, handle of a barrow, bar, rung"), a Romanesque word meaning the beam or shaft of a barrow or sledge, also the barrow itself. The identical word la trame with the meaning "crossbeam" is also used in the French language. Etymologists believe that the word tram refers to the wooden beams the railway tracks were initially made of before the railroad pioneers switched to the much more wear-resistant tracks made of iron and, later, steel. The word Tram-car is attested from 1873. Although the terms tram and tramway have been adopted by many languages, they are not used universally in English; North Americans prefer streetcar, trolley, or trolleycar. The term streetcar is first recorded in 1840, and originally referred to horsecars. When electrification came, Americans began to speak of trolleycars or later, trolleys. A widely held belief holds the word to derive from the troller (said to derive from the words traveler and roller), a four-wheeled device that was dragged along dual overhead wires by a cable that connected the troller to the top of the car and collected electrical power from the overhead wires; this portmanteau derivation is, however, most likely folk etymology. "Trolley" and variants refer to the verb troll, meaning 'roll' and probably derived from Old French, and cognate uses of the word were well established for handcarts and horse drayage, as well as for nautical uses. The troller design frequently fell off the wires, and was soon replaced by other more reliable devices, the trolley pole and notably the bow collector. Both were fitted to the top of the car and were spring-loaded in order to keep, respectively, a small trolley wheel or grooved lubricated "skate" mounted at the top of the pole or a steel rod forming the top of the bow firmly in contact with the underside of the overhead wire. The terms trolley pole and trolley wheel both derive from the troller. Trams using trolley-pole current collection are normally powered through a single pole, with return current earthed through the steel wheels and rails, though some systems (e.g. parts of the London system), used twin overhead wires and poles to avoid the effects of stray currents flowing through the earth. 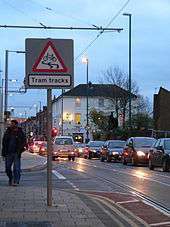 Modern trams often have an overhead pantograph mechanical linkage to connect to power, abandoning the trolley pole altogether. The alternative North American term trolley may strictly speaking be considered incorrect, as the term can also be applied to cable cars, or conduit cars that instead draw power from an underground supply. Conventional diesel tourist buses decorated to look like streetcars are sometimes called trolleys in the US (tourist trolley). Furthering confusion, the term tram has instead been applied to open-sided, low-speed segmented vehicles on rubber tires generally used to ferry tourists short distances, for example on the Universal Studios backlot tour and, in many countries, as tourist transport to major destinations. The term may also apply to an aerial ropeway, e.g. the Roosevelt Island Tramway. Over time, the term trolley has fallen into informal use, and may be applied loosely to a wide variety of different vehicle types. The word has taken on a historic or picturesque connotation, and is often associated with tourist or leisure travel. In North America, professional or formal documents generally use more precise alternative terms, such as streetcar or light rail vehicle (LRV). 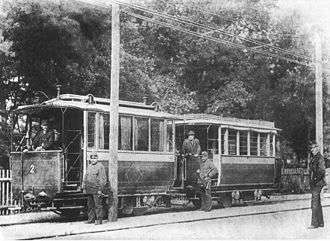 The very first tram was on the Swansea and Mumbles Railway in south Wales, UK; it was horse-drawn at first, and later moved by steam and electric power. The Mumbles Railway Act was passed by the British Parliament in 1804, and the first tram (similar to streetcars in the US some 30 years later) started operating in 1807. The first streetcars, also known as horsecars in North America, were built in the United States and developed from city stagecoach lines and omnibus lines that picked up and dropped off passengers on a regular route without the need to be pre-hired. These trams were an animal railway, usually using teams of horses and sometimes mules to haul the cars, usually two as a team. Occasionally other animals were put to use, or humans in emergencies. The first streetcar line, developed by Irish born John Stephenson, was the New York and Harlem Railroad's Fourth Avenue Line which ran along The Bowery and Fourth Avenue in New York City. Service began in 1832. It was followed in 1835 by New Orleans, Louisiana, which has the oldest continuously operating street railway system in the world, according to the American Society of Mechanical Engineers. Africa, 1860 - ALEXANDRIA, Egypt. In many cases, these early forms of public transport developed out of industrial haulage routes or from the omnibus that first ran on public streets, using the newly invented iron or steel rail or 'tramway'. These were local versions of the stagecoach lines and picked up and dropped off passengers on a regular route, without the need to be pre-hired. 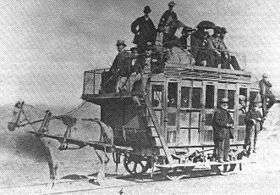 Horsecars on tramlines were an improvement over the omnibus as the low rolling resistance of metal wheels on iron or steel rails (usually grooved from 1852 on), allowed the animals to haul a greater load for a given effort than the omnibus and gave a smoother ride. The horse-drawn streetcar combined the low cost, flexibility, and safety of animal power with the efficiency, smoothness, and all-weather capability of a railway. In Australia, there were horse-drawn lines or systems in: Adelaide, S.A.; Ballarat, Victoria; Brisbane, Queensland; Gawler, S.A.; Perth, W.A. ; Sydney, N.S.W. ; Victor Harbor, S.A. - the latter reconstructed and operating as a tourist/heritage line. The first mechanical trams were powered by steam. Generally, there were two types of steam tram. The first and most common had a small steam locomotive (called a tram engine in the UK) at the head of a line of one or more carriages, similar to a small train. Systems with such steam trams included Christchurch, New Zealand; Sydney, Australia; other city systems in New South Wales; Munich, Germany (from August 1883 on), British India (Pakistan) (from 1885) and the Dublin & Blessington Steam Tramway in Ireland. Steam tramways also were used on the suburban tramway lines around Milan and Padua; the last Gamba de Legn ("Peg-Leg") tramway ran on the Milan-Magenta-Castano Primo route in late 1958. Tram engines usually had modifications to make them suitable for street running in residential areas. The wheels, and other moving parts of the machinery, were usually enclosed for safety reasons and to make the engines quieter. Measures were often taken to prevent the engines from emitting visible smoke or steam. Usually the engines used coke rather than coal as fuel to avoid emitting smoke; condensers or superheating were used to avoid emitting visible steam. The other style of steam tram had the steam engine in the body of the tram, referred to as a tram engine or steam dummy. The most notable system to adopt such trams was in Paris. French-designed steam trams also operated in Rockhampton, in the Australian state of Queensland between 1909 and 1939. Stockholm, Sweden, had a steam tram line at the island of Södermalm between 1887 and 1901. A major drawback of this style of tram was the limited space for the engine, so that these trams were usually underpowered. The next motive system for trams was the cable car, which was pulled along a fixed track by a moving steel cable. The power to move the cable was normally provided at a "powerhouse" site a distance away from the actual vehicle. The first practical cable car line was tested in San Francisco, in 1873. Part of its success is attributed to the development of an effective and reliable cable grip mechanism, to grab and release the moving cable without damage. The second city to operate cable trams was Dunedin in New Zealand, from 1881 to 1957. From 1885 to 1940, the city of Melbourne, Victoria, Australia operated one of the largest cable systems in the world, at its peak running 592 trams on 75 kilometres (47 mi) of track. There were also two isolated cable lines in Sydney, New South Wales, Australia; the North Sydney line from 1886 to 1900, and the King Street line from 1892 to 1905. New York City developed at least seven cable car lines. A line in Washington DC ran to Georgetown (where some of the underground cable vaults can still be seen today). Los Angeles also had several cable car lines, including the Second Street Cable Railroad, which operated from 1885 to 1889, and the Temple Street Cable Railway, which operated from 1886 to 1898. The most extensive cable system in the US was in Chicago between 1882 and 1906. Cable cars suffered from high infrastructure costs, since an expensive system of cables, pulleys, stationary engines and lengthy underground vault structures beneath the rails had to be provided. They also required physical strength and skill to operate, and alert operators to avoid obstructions and other cable cars. The cable had to be disconnected ("dropped") at designated locations to allow the cars to coast by inertia, for example when crossing another cable line. The cable would then have to be "picked up" to resume progress, the whole operation requiring precise timing to avoid damage to the cable and the grip mechanism. Breaks and frays in the cable, which occurred frequently, required the complete cessation of services over a cable route while the cable was repaired. Due to overall wear, the entire length of cable (typically several kilometres) would have to be replaced on a regular schedule. After the development of reliable electrically powered trams, the costly high-maintenance cable car systems were rapidly replaced in most locations. Cable cars remained especially effective in hilly cities, since their nondriven wheels would not lose traction as they climbed or descended a steep hill. The moving cable would physically pull the car up the hill at a steady pace, unlike a low-powered steam or horse-drawn car. Cable cars do have wheel brakes and track brakes, but the cable also helps restrain the car to going downhill at a constant speed. Performance in steep terrain partially explains the survival of cable cars in San Francisco. However, the extensive cable car system of Chicago operated over a large relatively flat area. The San Francisco cable cars, though significantly reduced in number, continue to perform a regular transportation function, in addition to being a well-known tourist attraction. A single cable line also survives in Wellington, New Zealand (rebuilt in 1979 as a funicular but still called the "Wellington Cable Car"). A third system, actually two separate cable lines with a shared power station in the middle, operates from the Welsh town of Llandudno up to the top of the Great Orme hill in North Wales, UK. The Opicina Tramway in Trieste operates a hybrid funicular electric system. Conventional electric trams are operated in street running and on reserved track for most of their route. However, on one steep segment of track, they are assisted by cable tractors, which push the trams uphill and act as brakes for the downhill run. For safety, the cable tractors are always deployed on the downhill side of the tram vehicle. Similar systems were used elsewhere in the past, notably on the Queen Anne Counterbalance in Seattle and the Darling Street Wharf line in Sydney. Electric trams were first experimentally installed in Saint Petersburg, Russia, invented and tested by Fyodor Pirotsky as early as 1880. These trams, like virtually all others mentioned in this section, used either a trolley pole or a pantograph, to feed power from electric wires strung above the tram route. Nevertheless, there were early experiments with battery-powered trams but these appear to have all been unsuccessful. The first trams in Bendigo, Australia, in 1892, were battery-powered but within as little as three months they were replaced with horse-drawn trams. In New York City some minor lines also used storage batteries. Then, comparatively recently, during the 1950s, a longer battery-operated tramway line ran from Milan to Bergamo. In China there is a Nanjing battery Tram line and has been running since 2014. The first regular electric tram service using pantographs or trolley poles, the Gross-Lichterfelde Tramway, was put into service in Lichterfelde, then a suburb of Berlin, (now part of the southwestern Berlin city district of Steglitz-Zehlendorf), by Siemens & Halske AG (company founder Werner von Siemens), in May 1881. It initially drew current from the rails, with overhead wire being installed in 1883. The company Siemens still exists. Another was by John Joseph Wright, brother of the famous mining entrepreneur Whitaker Wright, in Toronto in 1883. Earlier installations proved difficult or unreliable. Siemens' line, for example, provided power through a live rail and a return rail, like a model train, limiting the voltage that could be used, and providing electric shocks to people and animals crossing the tracks. Siemens later designed his own method of current collection, from an overhead wire, called the bow collector. In 1883, Magnus Volk constructed his 2 feet (610 mm) gauge Volk's Electric Railway along the eastern seafront at Brighton, England. This two kilometer line, re-gauged to 2 feet 9 inches (840 mm) in 1884, remains in service to this day, and is the oldest operating electric tramway in the world. The first tram for permanent service with overhead lines was the Mödling and Hinterbrühl Tram in Austria. It began operating in October 1883, but was closed in 1932. Multiple functioning experimental electric trams were exhibited at the 1884 World Cotton Centennial World's Fair in New Orleans, Louisiana, but they were not deemed good enough to replace the Lamm fireless engines that then propelled the St. Charles Avenue Streetcar in that city. In the United States, electric trams were first tested in service in Richmond, Virginia, in 1888, in the Richmond Union Passenger Railway built by Frank J. Sprague, though the first commercial installation of an electric streetcar in the United States was built in 1884 in Cleveland, Ohio and operated for a period of one year by the East Cleveland Street Railway Company. The first electric street tramway in Britain, the Blackpool Tramway, was opened on 29 September 1885 using conduit collection along Blackpool Promenade. Since the closure of the Glasgow Corporation Tramways in 1962, this has been the only first-generation operational tramway in the UK, and is still in operation in a modernised form. Sarajevo built a citywide system of electric trams in 1885. 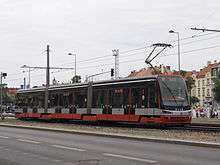 Budapest established its tramway system in 1887, and its ring line has grown to be the busiest tram line in Europe, with a tram running every 60 seconds at rush hour (however Istanbul's line T1, with a minimum headway of two minutes, probably carries more passengers – 265,000 per day). Bucharest and Belgrade ran a regular service from 1894. 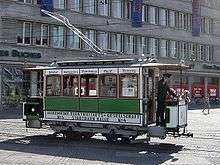 Ljubljana introduced its tram system in 1901 – it closed in 1958. In Australia there were electric systems in Sydney, Newcastle, Geelong, Ballarat, Bendigo, Brisbane, Adelaide, Perth, Fremantle, Kalgoorlie, Leonora, Hobart and Launceston. By the 1970s, the only tramway system remaining in Australia was the extensive Melbourne system other than a few single lines remaining elsewhere: the Glenelg Tram, connecting Adelaide to the beachside suburb of Glenelg, and tourist trams in the Victorian Goldfields cities of Bendigo and Ballarat. An unusual line that operated from 1889 to 1896 connected Box Hill, then an outer suburb of Melbourne, to Doncaster, then a favoured picnic spot. In recent years the Melbourne system, generally recognised as one of the largest in the world, has been considerably moderrnised and expanded. The Adelaide line has also been extended to the Entertainment Centre, and there are plans to expand further. In 1904 trams were put into operation in Hong Kong. The Hong Kong Tramway is still in operation today and uses double-decker trams exclusively. A tram system powered by compressed natural gas was due to open in Malaysia in 2012, but as of 2016 there was no evidence of anything having happened; news about the project appears to have dried up. In some places, other forms of power were used to power the tram. Hastings and some other tramways, for example Stockholms Spårvägar in Sweden and some lines in Karachi, used petrol trams. Paris operated trams that were powered by compressed air using the Mekarski system. Galveston Island Trolley in Texas operated diesel trams due to the city's hurricane-prone location, which would result in frequent damage to an electrical supply system. Although Portland, Victoria promotes its tourist tram as being a cable car it actually operates using a hidden diesel motor. The tram, which runs on a circular route around the town of Portland, uses 'dummies' (grip-cars) and saloon trailer cars formerly used on the extensive Melbourne cable tramway system and now beautifully restored. A double-ended tram has an operator's cab and controls at each end of the vehicle, which allows it to easily be driven at full speed in either direction on a continuous segment of track. Typically at the end of a run, the tram's operator will walk from one end of the tram to the other, and then commence the tram route in the other direction. The tram is usually switched to another track by use of crossover points or Y-points. Conversely, a single-ended vehicle needs a method of turning at termini so that the operator's cab is in the front of the tram for the reverse journey. This usually necessitates a turning loop or triangle. On the other hand, the single cab and controls and fewer door spaces make the tram lighter, increases passenger accommodation (including many more seats) and effects reductions in equipment, weight, first-cost, maintenance cost, and operating expense. For more details on this topic, see Low-floor tram. From around the 1990s, light rail vehicles not made for the occasional high platform light rail system have usually been of partial or fully low-floor design, with the floor 300 to 360 mm (11.8 to 14.2 in) above top of rail, a capability not found in older vehicles. This allows them to load passengers, including those in wheelchairs, directly from low-rise platforms that are not much more than raised footpaths/sidewalks. This satisfies requirements to provide access to disabled passengers without using expensive wheelchair lifts, while at the same time making boarding faster and easier for other passengers. Various companies have developed particular low-floor designs, varying from part-low-floor (with internal steps between the low-floor section and the high-floor sections over the bogies), e.g. 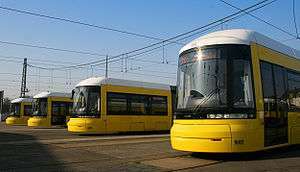 Citytram and Siemens S70, to 100% low-floor, where the floor passes through a corridor between the drive wheels, thus maintaining a relatively constant (stepless) level from end to end of the tram. Passengers appreciate the ease of boarding and alighting from low-floor trams and moving about inside 100% low-floor trams. Passenger satisfaction with low-floor trams is high. Low-floor trams are now running in many cities around the world, including Adelaide, Amsterdam, Bratislava, Dublin, Gold Coast, Helsinki, Hiroshima, Houston, Istanbul, Melbourne, Milan, Prague, Riga, Strasbourg, Sydney, Vienna, Zagreb and Zürich. Double decker trams were commonplace in Great Britain and Dublin Ireland before most tramways were torn up in the 1950s and 1960s. New York City's New York Railways experimented in 1912 with a Brill double deck Hedley-Doyle stepless center entrance car, nicknamed the "Broadway Battleship," a term that spread to other large streetcars. Hobart, Tasmania, Australia made extensive use of double decker trams. Arguably the most unusual double-decker tram used to run between the isolated Western Australian outback town of Leonora and the nearby settlement of Gwalia. Double decker trams still operate in Alexandria, Blackpool and Hong Kong. In Milan, Italy, hearse trams were used from the 1880s (initially horse-drawn) to the 1920s. The main cemeteries, Cimitero Monumentale and Cimitero Maggiore, included funeral tram stations. Additional funeral stations were located at Piazza Firenze and at Porta Romana. In the mid-1940s at least one special hearse tram was used in Turin, Italy. It was introduced due to the wartime shortage of automotive fuel. Newcastle, NSW, Australia also operated two hearse trams between 1896 and 1948. In Melbourne a "dog car" was used between 1937 and 1955 for transporting dogs and their owners to the Royal Melbourne Showgrounds. A number of systems have introduced restaurant trams, particularly as a tourist attraction. This is specifically a modern trend. 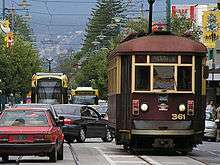 Systems which have or have had restaurant trams include Adelaide, Bendigo and Melbourne, in Australia; Brussels in Belgium; The Hague in the Netherlands; Christchurch in New Zealand; Milan, Rome and Turin in Italy; Moscow, Russia; Almaty, Kazakhstan  and Zurich, Switzerland. Restaurant trams are particularly popular in Melbourne where three of the iconic "W" class trams have been converted. All three often run in tandem and there are usually multiple meal sittings. Bookings often close months in advance. Bistro trams with buffets operated between Krefeld and Düsseldorf in Germany, while Helsinki in Finland has a pub tram. Frankfurt, Germany has a tourist circle line called "Ebbelwei-Express", in which the traditional local drink "Apfelwein" (locally called "Ebbelwei", a type of hard cider) is served. Munich tram No.24, delivered in 1912, was refurbished as a mobile library in 1928. Known as "Städtische Wanderbücherei München", it was in public service until 1970. It was preserved and is now on public display in a railway museum in Hannover. Edmonton, Alberta used a streetcar bookmobile from 1941 to 1956. After World War Two, in both Warsaw and Wrocław, Poland, so-called trams-nurseries were in operation, collecting children from the workplaces of their parents (often tram employees). These mobile nurseries either carried the children around the system or delivered them to the nursery school run by transport company. Most systems had cars that were converted to specific uses on the system, other than simply the carriage of passengers. As just one example, the Melbourne system used or uses the following "technical" cars : a Ballast Motor, Ballast Trailers, a Blow Car, Breakdown Cars, Conductors and/or Drivers' Instruction Cars, a Laboratory Testing Car, a Line Marking Car, a Pantograph Testing Car, Per Way Locomotives, Rail Grinders, a Rail Hardner Loco., a Scrapper Car, Scrubbers, Sleeper Carriers, Track Cleaners, a Welding Car, a Wheel Transport Car and a Workshops Locomotive. Many systems have passenger carrying vehicles with all-over advertising on the exterior and/or the interior. Many systems have retained historical trams which will often run over parts of the system for tourists and/or tram enthusiasts. Throughout the world there are many tram systems; some dating from the late 19th or early 20th centuries. However a large number of the old systems were closed during the mid-20th century because of such perceived drawbacks as route inflexibility and maintenance expense. This was especially the case in North American, Australian, British, French and other West European cities. Some traditional tram systems did however survive and remain operating much as when first built over a century ago. In the past twenty years their numbers have been augmented by modern tramway or light rail systems in cities that had discarded this form of transport. The longest systems are in Melbourne (256 km), Saint Petersburg (205 km), Katowice (Upper Silesian Industrial Region) (200 km), Cologne (193 km), Berlin (192 km); Moscow (181 km) and Vienna and Milan (170 km). Between 1997 and 2014, 400-450 vehicles have been built per year. Since 1980 trams have returned to favour in many places, partly because their tendency to dominate the roadway, formerly seen as a disadvantage, is now considered to be a merit. New systems have been built in the United States, Great Britain, Ireland, France, Australia and many other countries. The largest tram ((classic tram, streetcar, straßenbahn) and fast tram, (light rail, stadtbahn)) networks in the world by route length (as of 2016) are Melbourne (256 km (159 mi)), St. Petersburg (205.5 km (127.7 mi)), Cologne (194.8 km (121.0 mi)), Berlin 191.6 km (119.1 mi)), Moscow (183 km (114 mi)), Budapest (172 km (107 mi)), Katowice agglomeration (171 km (106 mi)) and Vienna (170 km (110 mi)). 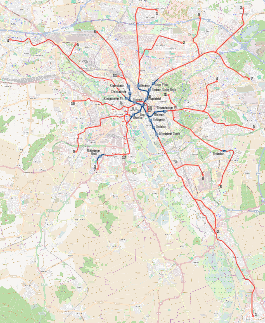 Other large systems include (but are not limited to): Dallas Light Rail, modern streetcar and heritage streetcar (155 km (96 mi)), Sofia (153.6 km (95.4 mi)), Leipzig (148.3 km (92.1 mi)), Łódź (145 km (90 mi)), Bucharest (143 km (89 mi)), Prague (142.4 km (88.5 mi)), Kiev (139.9 km (86.9 mi)), Brussels (138.9 km (86.3 mi)), Warsaw (138 km (86 mi)), Dresden (134 km (83 mi)), Los Angeles (133.1 km (82.7 mi)), Bonn Stadtbahn and streetcars (125.32 km (77.87 mi)), Stuttgart (124.5 km (77.4 mi)), Hanover (121 km (75 mi)), Zagreb (116.3 km (72.3 mi)), Bremen (114.6 km (71.2 mi)), Portland metropolitan area light rail and streetcars (108.2 km (67.2 mi)), Paris (104.9 km (65.2 mi)), Mannheim/Ludwigshafen (103.4 km (64.2 mi)), Riga (99.52 km (61.84 mi)), Gothenburg (95 km (59 mi)), Kassel (93.3 km (58.0 mi)), Manchester (92.5 km (57.5 mi)), Kraków (90 km (56 mi)), Dnipropetrovsk (87.8 km (54.6 mi)), Halle (Saale) (87.6 km (54.4 mi)), San Diego (86.1 km (53.5 mi)), Pavlodar (86 km (53 mi)), Turin (84 km (52 mi)), Bochum/Gelsenkirchen (84 km (52 mi)), Zurich (84 km (52 mi)), Toronto (83 km (52 mi)), Amsterdam (80.5 km (50.0 mi)), Munich (79 km (49 mi)), Antwerp (79 km (49 mi)), Denver (76 km (47 mi)), Iași (76 km (47 mi)), Salt Lake Valley light rail and streetcar (75.42 km (46.86 mi)), Dortmund (75 km (47 mi)), Rotterdam (75 km (47 mi)), St. Louis Metropolitan Area (74 km (46 mi)), Lviv (73.5 km (45.7 mi)), Mykolaiv (72.83 km (45.25 mi)), Karlsruhe (71.5 km (44.4 mi)), Brno (70.4 km (43.7 mi)), Porto (70 km (43 mi)), Sacramento (69 km (43 mi)), Frankfurt am Main (68 km (42 mi)), San Jose and its suburbs (67.9 km (42.2 mi)), Lyon (66.3 km (41.2 mi)), Ostrava (65.7 km (40.8 mi)), Basel (65.7 km (40.8 mi), Donetsk (65.7 km (40.8 mi)), Poznań (65.6 km (40.8 mi)), Minsk (62.8 km (39.0 mi)), Szczecin (60 km (37 mi)), Graz (59.8 km (37.2 mi)), Montpellier (55.6 km (34.5 mi)), Pyongyang (53.5 km (33.2 mi)), Essen (52.4 km (32.6 mi)) and Gdańsk (52.2 km (32.4 mi)). This list is not exhaustive. The length of the following networks is disputed: Philadelphia trolleycar network comprise from Subway–Surface Trolley Lines with line length 31.9 km (19.8 mi) or by another source 100.8 km (62.6 mi) (the sum of all lines (lines 10 (18.7 km (11.6 mi)), 11 (21.4 km (13.3 mi)), 13 (18.3 km (11.4 mi)), 34 (16.3 km (10.1 mi)) and 36 (26.1 km (16.2 mi))), light rail routes 101 and 102 with length 19.2 km (11.9 mi) and heritage route 15 (line length 13.7 km (8.5 mi)). Put together, it measures 64.6 km (40.1 mi) or 133.5 km (83.0 mi) of line length. The route length is 86.6 km (53.8 mi). Next, San Francisco light rail and streetcars have route length 50 km (31 mi) or 59.4 km (36.9 mi). Except it, in city is 8.3 km (5.2 mi) of cable car. Next networks with disputed route length are Milan (126.5 km (78.6 mi)) or 181 km (112 mi), Düsseldorf Stadtbahn (76 km (47 mi)) or 78 km (48 mi)/streetcars 72 km (45 mi) or 68.5 km (42.6 mi), The Hague (105 km (65 mi)) or by other sources 142 km (88 mi), Strasbourg (40.4 km (25.1 mi)) or 57.5 km (35.7 mi), Kolkata (57 km (35 mi)) or 68 km (42 mi), Nizhny Novgorod (formerly Gorky) (98 km (61 mi)) or 76.5 km (47.5 mi). This list is not exhaustive. Historically, the Paris Tram System was,1 at its peak, the world's largest system, with 1,111 km (690 mi) of track in 1925 (according to other sources, ca. 640 km of route length in 1930, but those five years length reduced to a minimum), before its complete destruction in the 1938. The next largest system appears to have been 857 km (533 mi), in Buenos Aires before the 19 February 1963. The third largest was Chicago, with over 850 km (530 mi) of track, but it was all converted to trolleybus and bus services by 21 June 1958. Before its decline, the BVG in Berlin operated a very large network with 634 km (394 mi) of route. Before its system started to be converted to trolleybus (and later bus) in the 1930s (last tramway closed 6 July 1952), the first-generation London network had 555 km (345 mi) of route in 1931. In 1958 trams in Rio de Jainero rode on (433 km (269 mi)) of route length, before closure the network expect Santa teresa line in 1968. During a period in the 1980s, the world's largest tram system was in Leningrad (now known as St. Petersburg) with 350 km (220 mi), USSR, and was included in Guinness World Records; however Saint Petersburg's tram system has declined in size since the fall of the Soviet Union. Wiena in 1960 have 340 km (211 mi), before enlargement buses and subway (opened 1976). Substituting tram subway continues today. 320 km (199 mi) was in Minneapolis-Saint Paul in 1947: There streetcars ended 31 October 1953 in Minneapolis and 19 June 1954 in St. Paul. The Sydney tram network, before it was closed 25 February 1961, had 291 km (181 mi) of route, and was thus the largest in Australia. As from 1961, the Melbourne system (currently recognised as the world's largest) took over Sydney's title as the largest network in Australia. Tramway systems were well established in the Asian region at the start of the 20th century, but started a steady decline during the mid to late 1930s. The 1960s marked the end of its dominance in public transportation with most major systems closed and the equipment and rails sold for scrap; however, some extensive original lines still remain in service in Hong Kong and Japan. In recent years there has been renewed interest in the tram with modern systems being built in Japan, the Philippines, and South Korea. In India trams still operate in Calcutta. Trams were discontinued in Chennai in 1954 and in Mumbai in 1960. The Northern and Central areas of the City of Colombo in Sri Lanka had an electric Tram Car system (42" Gauge). This system commenced operations about 1900 and was discontinued by 1960. Other countries with discontinued tram systems include Indonesia, Malaysia, Thailand, Pakistan and Vietnam. However, a tram system is planned for construction in Gwadar, Pakistan where construction started in late 2011. Trams are also under construction in DHA City, Karachi. In China the cities of Beijing, Zhuhai, Nanjing and Shenzhen are planning tram networks for the future. The first Japanese tram line was inaugurated in 1895 as the Kyoto Electric Railroad. The tram reached its zenith in 1932 when 82 rail companies operated 1,479 kilometers of track in 65 cities. The tram declined in popularity through the remaining years of the 1930s and during the 1960s many of the remaining operational tramways were shut down and dismantled. In many European cities much tramway infrastructure was lost in the mid-20th century, though not always on the same scale as in other parts of the world such as North America. Most of Central and Eastern Europe retained the majority of its tramway systems and it is here that the largest and busiest tram systems in the world are found. Many European cities are rehabilitating, upgrading, expanding and reconstructing their old tramway lines and building new tramway lines. Whereas most systems and vehicles in the tram sector are found in Central and Eastern Europe, in the 1960s and 1970s, tram systems were shut down in many places in Western Europe, however urban transportation has been experiencing a sustained long running revival since the 1990s. In North America, these vehicles are called "streetcars" (or "trolleys"); the term tram is more likely to be understood as a tourist trolley, an aerial tramway, or a people-mover. In most North American cities, streetcar lines were largely torn up in the mid-20th century for a variety of financial, technological and social reasons. Exceptions included Boston, New Orleans, Newark, Philadelphia (with a much shrunken network), Pittsburgh, San Francisco, Cleveland, Toronto and Mexico City. Pittsburgh had kept most of its streetcar system serving the city and many suburbs until severe cutbacks on 27 January 1967, making it the longest-lasting large-network US streetcar system, though Pittsburgh's surviving streetcar lines were converted to light rail in the 1980s. 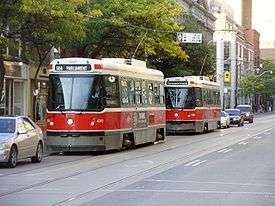 The Toronto streetcar system is the largest in North America. San Francisco's Muni Metro system is the largest surviving streetcar system in the United States, and has even revived previously closed streetcar lines such as the F Market & Wharves heritage streetcar line. In a trend started in the 1980s, some American cities have brought back streetcars, examples of these being Memphis, Portland, Tampa, Little Rock, Seattle and Dallas. Prior to 2000, most of these new-generation streetcar systems were heritage streetcar lines, using vintage or replica-vintage vehicles, but following the 2001 opening of the Portland Streetcar system – the first to use modern vehicles – most new US systems have been designed to use modern, low-floor cars. Several additional cities are planning or proposing new streetcar systems, and such systems are under construction in Atlanta, Charlotte, Cincinnati, Dallas (a second system), Kansas City, Los Angeles, Milwaukee, Oklahoma City, Tucson, and Washington DC. Alternatively, in the late 20th century, several cities installed modern light rail systems, in part along the same corridors as their old streetcars systems, the first of these being the San Diego Trolley in San Diego in 1981. Historically, there have been trams in the following Australian cities and towns: Brisbane, Queensland; Rockhampton, Queensland; Sydney, New South Wales; Newcastle, NSW; Maitland, NSW; Broken Hill, NSW; Yass, NSW; Camden, NSW; Melbourne, Victoria; Geelong, Victoria; Ballarat, Victoria; Bendigo, Victoria; Sorrento, Victoria; Adelaide, South Australia; Gawler, South Australia; Victor Harbor, South Australia; Moonta-Wallaroo, South Australia; Perth, Western Australia; Fremantle, WA; Kalgoorlie, WA; Laverton, WA; Hobart, Tasmania; and Launceston, Tasmania. These ranged from extensive systems to single lines. The Sydney system, which closed in 1961, was the most extensive and the largest passenger carrier of any Australian public transport system then or since, moving over 400 million passengers at its peak. Today, trams can be found in Melbourne (by length, the world's largest system), and to a lesser extent, Adelaide; all other major cities having largely dismantled their networks by the 1970s. Sydney reintroduced its tram in 1997 on a modern light rail network, while Ballarat and Bendigo retained their trams as heritage systems. In 2008 and 2009, the Bendigo Tramway Co. Ltd. conducted trials utilising their heritage trams for regular public transport. Portland, Victoria introduced a tourist tram in 1996 - this uses a former Melbourne cable car dummy and trailer car, but utilising a hidden diesel motor. A completely new publlic transport system opened on the Gold Coast, Queensland on 20 July 2014. The new system is known as the G:link and is the first tram/ light rail system in Queensland,Australia since Brisbane closed their tram network in 1969. As from March 2014, the Sydney line was extended to Dulwich Hill, with a further major line planned from Circular Quay to the Sydney south-eastern suburbs. There are also plans for the reintroduction of trams in Perth, Hobart and the western suburbs of Sydney around Parramatta, and for completely new systems in Canberra, and on the Sunshine Coast, Queensland. (Ironically, Walter Burley Griffin's 1912 prize-winning design for Canberra envisioned an extensive tram system.) The construction of light rail in Canberra, to be known as Capital Metro, became the major issue of the October 2016 ACT election, with the ruling ALP strongly supporting Capital Metro, and the coalition of the Liberal Party and the National Party promising not to proceed with the building of light rail but, instead, increase the number of buses. The ALP won the election  and it will proceed with its plans for the construction of Stage 1 of the light rail, which is expected to commence shortly. The railway into the centre of Newcastle was truncated to Wickham on 25 December 2014, The railway line was to be replaced with a tram but the implementation of this has been postponed a number of times! A bus replacement currently runs from Wickham to Newcastle. A distinctive feature of many Australian trams was the early use of a lowered central section between bogies (wheel-sets). This was intended to make passenger access easier, by reducing the number of steps required to reach the inside of the vehicle. It is believed that the design first originated in Christchurch, New Zealand, in the first decade of the 20th century. Cars with this design feature were frequently referred to as "drop-centres". Trams for Christchurch and Wellington built in the 1920s with an enclosed section at each end and an open-sided middle section were also known as boon cars, but did not have the drop-centre. 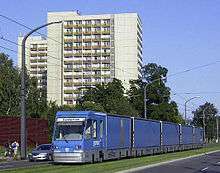 Trams built since the 1970s have had conventional high or low floors. New Zealand's last public transport tramway system, that of Wellington, closed in 1966. Nevertheless, there had been tramways ranging from large, comprehensive systems to single lines, in Auckland, Christchurch, Dunedin, Gisborne, Invercargill, Napier, New Plymouth, Greymouth, Westport, Hokitika, Ross, Brighton, Charleston, Kamiere and Kamara. An unusual feature of New Zealand's trams was the diversity of gauges. The 15 systems utilised no less than five gauges, thus making swapping of rolling stock from system to system, a bit of a challenge. Christchurch has subsequently reintroduced heritage trams over a new CBD route, but the overhead wiring plus some track was damaged by the earthquake of 2011. In November 2013 a limited circuit was reopened. Auckland has recently introduced heritage trams into the Wynyard area, near the CBD, using former Melbourne trams. Preserved Auckland trams from the MOTAT have made cameo appearances during Heritage Weeks. Heritage lines exist at Auckland's MOTAT, the Wellington Tramway Museum at Queen Elizabeth Park on the Kapiti Coast, the Tramways Trust Wanganui and the Tramway Historical Society at Ferrymead in Christchurch, as well as the Christchurch Tramway Limited in the central city. Buenos Aires in Argentina had once one of the most extensive tramway networks in the world with over 857 km (535 mi) of track, most of it dismantled during the 1960s in favor of bus transportation. A new line, the PreMetro line E2 system feeding the Line E of the Buenos Aires Subway has been operating for the past few years on the outskirts of Buenos Aires. Also in the city Mendoza, in Argentina, a new tramway system is in construction, the Metrotranvía of Mendoza, which will have a route of 12.5 km and will link five districts of the Greater Mendoza conurbation. The opening of the system is scheduled for August 2011. Trams (and road public transport in general) can be much more efficient in terms of road usage - one vehicle replacing about 40 cars which take up a far larger area of road space. Vehicles run more efficiently and overall operating costs are lower. Rail transport can expose neighbouring populations to moderate levels of low-frequency noise. However, transportation planners use noise mitigation strategies to minimize these effects. Most of all, the potential for decreased private motor vehicle operations along the trolley's service line because of the service provision could result in lower ambient noise levels than without. In Almonds and Raisins by Maisie Mosco, a novel about Jewish immigration to Manchester, England, from mainland Europe in the early twentieth century, the newly arrived Sanberg family see a tram for the first time - a Manchester double-decker. Abraham (the father) exclaims, "A train with two storeys? And no roof?" [Manchester trams were open-topped in those days.] The local rabbi explains: "In English, they call it a tram.... In Yiddish, we don't have a word for it." "In the wire overhead, there's electricity, we don't have a word for that either." A sculpture of tram 1040, the last numbered of Melbourne's iconic "W" class trams was unveiled at the corner of Flinders and Spencer Streets, Melbourne, in October 2013. The sculpture is the work of local artist David Bell. It can be viewed from a number of tram routes, and is just one block from Southern Cross railway station. The Australian play, Storming Mont Albert by Tram, is set on Melbourne tram route 109. Written by Paul Davies, it was first performed in February/March 1982 as part of Melbourne's Moomba festival. Alfred Hitchcock was a well-known rail enthusiast with a particular interest in London trams. An overwhelming majority of his films include rail and/or tram scenes, in particular The Lady Vanishes, Strangers on a Train and Number Seventeen. Often, when the scene and take numbers appeared on a clapperboard during filming, Hitchcock would translate them into London tram route numbers; for example, if Scene 23, Take 2, appeared on the clapperboard, he was wont to whisper: "Woodford; Wimbledon" (the termini of Routes 23 and 2). 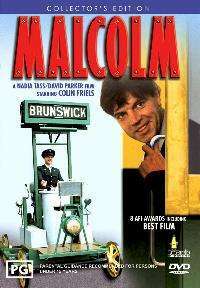 Malcolm, is an Australian film about a tram enthusiast who uses his inventions to pull off a bank heist. There are many scenes of Melbourne trams, as well as models of Adelaide trams and (at the end of the film) scenes showing Lisbon trams. The 1953 British film, Genevieve is about vintage cars and, more particularly, the eccentricities of the car owners. The second part of the movie is about an unauthorised race between Brighton and London Bridge by the film's two leads, played by John Gregson and Kenneth More. After many trials and tribulations, the hero (Gregson) eventually wins the race when the wheels of More's car gets stuck in the tram tracks and he moves in entirely the wrong direction, just before reaching the Bridge. The US children's TV show Mister Rogers' Neighborhood features a trolley (tram). It is shown on National Educational Television, PBS, Sprout and the Canadian Broadcasting Corporation. 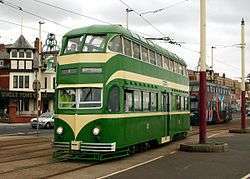 Trams feature in the opening credits of the world's longest running TV soap opera Coronation Street, set in a fictional suburb of Greater Manchester, and produced by the UK's Granada Television. A Blackpool tram killed one of the main characters in 1989 and the most recent faked accident involved a tram (modelled on the Manchester Metrolink) careering off a viaduct into the set in 2009. Toonerville Folks comic strip (1908–55) by Fontaine Fox featured the "Toonerville Trolley that met all the trains." A W-class Melbourne tram was used at the opening ceremony of the 2006 Commonwealth Games in Melbourne. The "flying tram" (as it was dubbed) is now exhibited at the Melbourne Museum. In March 1864, well-known Australian musician and composer Isaac Nathan was hit and killed by a Sydney horse tram. Nathan is reputed to be the first tram fatality in the Southern Hemisphere. On the morning of 18 August 1901, four masked men, described as "urban bushrangers", held up an eastbound horse tram in Riversdale Rd, Hawthorn, Melbourne, just past Power St. For their trouble the men received £2.10.0 in fares from driver Thomas Taylor, and £21.19.0 from eight passengers. One passenger was injured. The bandits were never caught. Contemporary newspapers hypothesised that the bandits were after a specific commuter who travelled regularly on this particular tram and who was in the habit of carrying large amounts of cash. It is reputed that in the 1930s a murdered body was dragged out of the Thames River in London. The body had been stripped of anything that might have identified him. The only clue to the person's identity was a portion of a tram ticket hidden in the lining of his coat. The local police did not recognise the ticket but images in newspapers led to it being identified as a Melbourne tram ticket. Serendipitously, the serial number on the ticket was intact. Victoria Police in Melbourne, acting as agents for The Met in London, contacted the Melbourne and Metropolitan Tramways Board. From the serial number, the M&MTB were able to tell which tram depot had issued the ticket, on what day and on which specific tram, and in which section of a particular route (North Balwyn). Police then interviewed regular commuters and discovered the identity of a man whom, they believed, had recently travelled to London. This led to the arrest and conviction of the murderer. Decades after the event, the M&MTB were still citing the incident in training courses as a reason for tram conductors, etc., to keep proper and efficient records. Model trams are popular in HO scale (1:87) and O scale (1:48 in the US and generally 1:43,5 and 1:45 in Europe and Asia). They are typically powered and will accept plastic figures inside. Common manufacturers are Roco and Lima, with many custom models being made as well. The German firm Hödl and the Austrian Halling specialize in 1:87 scale. ↑ "Tram - Definition and More from the Free Merriam-Webster Dictionary". merriam-webster.com. ↑ "Online Etymology Dictionary". Etymonline.com. Retrieved 2015-03-08. ↑ Urban Mass Transit: The Life Story of a Technology - Robert C. Post - Google Books. Books.google.com. Retrieved 2015-03-08. ↑ Middleton, William D. (1967). The Time of the Trolley, p. 60. Milwaukee: Kalmbach Publishing. ISBN 0-89024-013-2. ↑ "The Swansea and Mumbles Railway - the world's first railway service". Welshwales.co.uk. Retrieved 2015-03-08. ↑ Bellis, Mary. "History of Streetcars and Cable Cars". inventors.about.com. Retrieved 10 January 2007. ↑ "1876 - 1964 (Überblick)". Archived from the original on 2011-02-24. Retrieved 2015-03-08. ↑ Borzo, Greg (2012). Chicago Cable Cars. The History Press. pp. 15–21. ISBN 978-1-60949-327-1. ↑ UK, DVV Media. "Battery trams running in Nanjing". Railway Gazette. Retrieved 2016-06-02. ↑ Wood, E. Thomas. "Nashville now and then: From here to there". Retrieved 7 August 2007. ↑ American Public Transportation Association. "Milestones in U.S. Public Transportation History". Archived from the original on 2007-08-07. Retrieved 18 December 2008. ↑ "Sarajevo Official Web Site : Sarajevo through history". Sarajevo.ba. 1914-06-29. Retrieved 2015-03-08. ↑ "City of Belgrade - Important Years in City History". Beograd.org.rs. 2000-10-05. Retrieved 2015-03-08. ↑ "Trams of Hungary and much more". Hampage.hu. Retrieved 2015-03-08. ↑ "RATB - Regia Autonoma de Transport Bucuresti". Ratb.ro. Retrieved 2015-03-08. ↑ "Historical Highlights". Ljubljanski potniški promet [Ljubljana Passenger Transport]. Archived from the original on 4 March 2012. Retrieved 25 April 2012. ↑ "WEDNESDAY, DECEMBER 29, 1886.". The Argus (Melbourne, Vic. : 1848 - 1956). Melbourne, Vic. : National Library of Australia. 29 December 1886. p. 5. Retrieved 10 March 2013. ↑ "Australian Timetable Association". austta.org.au. 2012-08-10. Retrieved 2012-12-08. ↑ "mark the fitter: November 2008". Markthefitter.blogspot.com. 2008-11-17. Retrieved 2015-03-08. ↑ "Malaysia: first compressed natural gas tram in the world will be ready next year". Natural Gas Journal. 2011-02-22. Archived from the original on 2012-03-28. ↑ "Portland Tram - Google Search". Google.com.au. Retrieved 2015-03-08. ↑ "China Develops World's First Hydrogen-Powered Tram". IFLScience. ↑ "TRAM Power home | City Class Tram and LR55 rail system". Trampower.co.uk. Retrieved 2015-03-08. ↑ "Tram services to the Grand Prix ran smoothly and successfully again this year, despite a number of logging trucks that blocked Bourke Street services early on Thursday, 1st March" (PDF). Yarra Connections. Archived (PDF) from the original on 2007-09-01. Retrieved 2015-03-08. ↑ MBTA (2010). "About the MBTA-The "El"". MBTA. Retrieved 8 December 2010. ↑ Archived 22 February 2014 at the Wayback Machine. ↑ Bain, George. "New Double-deck Streetcar - N.Y.". Bain News Service,. ↑ "Transport Diversions Emporium - WEYMOUTH HARBOUR TRAMWAY". Transportdiversions.com. Archived from the original on 27 March 2014. Retrieved 2015-03-08. 1 2 3 4 "Destination City. Electric Rolling Stock of the Melbourne & Metropolitan Tramways Board", various editions, Australian Electric Traction Association, Melbourne. ↑ Archived 8 January 2009 at the Wayback Machine. ↑ Archived 30 August 2008 at the Wayback Machine. 1 2 Middleton, William D. (1967). The Time of the Trolley, pp. 93–97. Milwaukee: Kalmbach Publishing. ISBN 0-89024-013-2. ↑ "GTT - Una breve storia dell'azienda dall'ATM ad oggi". Tramditorino.it. Retrieved 2015-03-08. ↑ "Tram hearse used in Newcastle, New South Wales". Government of New South Wales. Archived from the original on 2011-04-06. Retrieved 2015-03-08. ↑ "Weltpremiere: Speisewagen im Straßenbahnnetz". Rheinbahn.de. Archived from the original on 18 November 2012. Retrieved 2015-03-08. ↑ "Sightseeing in Frankfurt with the Ebbelwei-Express". Verkehrsgesellschaft Frankfurt am Main. Archived from the original on 11 June 2012. Retrieved 14 March 2013. ↑ "Tramwaje Warszawskie - wagon-żłobek". Tramwar.republika.pl. Retrieved 2012-12-08. ↑ "Tramwaj-żłobek dowoził tylko maluchy do żłobka MPK". Wroclaw.gazeta.pl. Retrieved 2012-12-08. ↑ "An Introduction To Capacitors". Facstaff.bucknell.edu. Retrieved 2015-03-08. ↑ "Musée des Transports Urbains - Histoire - Histoire Générale des Transorts Urbains". Amtuir.org. Retrieved 2015-03-08. ↑ Keenan, Edward (14 September 2015). "Streetcars are our neglected stars". The Toronto Star. Torstar Corporation. ↑ Christopher, Hume (14 September 2015). "Toronto rides new streetcars to its urban future". The Toronto Star. Torstar Corporation. ↑ "Transport in figures". GVB. Archived from the original on 26 September 2011. Retrieved 27 September 2013. ↑ "Welcome to the Shore Line Interurban Historical Society | Chicago Surface Lines". Shore-line.org. Retrieved 2015-03-08. ↑ "Bangkok Tram City Night Tour : Bangkok Tourist Attractions". Bangkoktram.com. Retrieved 2015-03-08. ↑ Tess Kalinoski (2014-09-08). "TTC's Spadina launch inspires streetcar envy on other lines". Toronto Star. Archived from the original on 2014-09-09. Retrieved 2014-09-08. Normally, the Bombardier plant produces one light rail vehicle (LRV) every three weeks, said spokesperson Marc Laforge. That's not happening while a strike at the company's Thunder Bay plant is in its eighth week. Once production resumes, however, Bombardier can accelerate its schedule to three LRVs a month. The two sides are back in bargaining, and Bombardier will discuss a revised delivery schedule with the TTC, he said. ↑ Christoper Hume (2014-09-01). "Toronto rides new streetcars to its urban future: Hume Getting there will be half the fun now that Toronto's new streetcars are in service". Toronto Star. Archived from the original on 2014-09-09. Retrieved 2014-09-08. Seeing these beautiful behemoths rolling through Toronto might force us to reconsider the complaint heard over and over that streetcars are forever in the way. Once all 204 new vehicles have been deployed in four or five years, they will be the undisputed masters of the streets; it will be cars that will have to make way. ↑ Kim Brown (2014-08-31). "New TTC streetcars make their debut". Toronto Star. Archived from the original on 2014-09-01. Retrieved 2014-09-08. Torontonians taking the Spadina streetcar might have noticed something different when they stepped on board today. That's because the Toronto Transit Commission has finally launched the first of its new streetcars. ↑ National Post Staff (September 27, 2012). "Next-generation streetcars arrive in Toronto for trials". National Post. Retrieved October 31, 2012. ↑ Taplin, M. R. (October 2001). "Return of the (modern) streetcar: Portland leads the way". Tramways & Urban Transit. Hersham, Surrey, UK: Ian Allan Publishing Ltd. ISSN 1460-8324. Retrieved May 3, 2014. ↑ "The Canberra Legacy: Griffin, Government and the Future of Strategic Planning in the National Capital" (PDF). Be.unsw.edu.au. Retrieved 2015-03-08. ↑ New era for Newcastle Transport for NSW 26 December 2014. ↑ "Metrotranvía deal signed". Railway Gazette International. 24 February 2009. Retrieved 16 February 2013. ↑ "Medellín: Ayacucho tram will begin service in 2015". Metro Americas. 18 March 2015. Retrieved 5 August 2015. ↑ Morrison, Allen. "The trams and trolleybuses of Medellín, Colombia". Electric Transport in Latin America. Retrieved 8 January 2016. ↑ "Human Transit". Human Transit. ↑ "Why are trams different from buses from Trams for Bath". Bathtram.org. Retrieved 2012-12-08. 1 2 "Crossing tram tracks - Bicycle Network". Bv.com.au. 2004-07-14. Archived from the original on 31 March 2012. Retrieved 2012-12-08. ↑ "Trams/Light Rail - Road Safety Authority Rules of the Road". Rulesoftheroad.ie. Retrieved 2012-12-08. ↑ Andrew Heasley (2004-04-29). "Slippery issue on track". The Sydney Morning Herald.drive.com.au. Retrieved 2012-12-08. ↑ "Light Rail Service: Pedestrian and Vehicular Safety | Blurbs | Main". Trb.org. 2014-03-30. Retrieved 2015-03-08. ↑ "Wheel/Rail Noise Control Manual | Blurbs | Main". Trb.org. Retrieved 2015-03-08. ↑ "Ryco : welkom". Ryco.be. Retrieved 2015-03-08. ↑ "Southern Cross 'Cavalcade of Transport' mural takes back door to shopping centre progress". The Age. ↑ "David Ball : Resume" (PDF). Davidmitchelbell.com. Retrieved 2015-03-08. ↑ "Iconic W-class tram up-ended at Melbourne intersection - in the name of art". Heraldsun.com.au. Retrieved 2015-03-08. ↑ "Heide Museum of Modern Art" (PDF). heide.com.au. ↑ "The Flying Tram". museumvictoria.com.au. 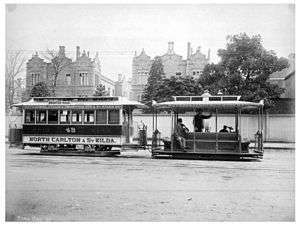 ↑ "Friends of Hawthorn Tram Depot: Melbourne's horse trams". Hawthorntramdepot.org.au. Retrieved 2015-03-08. ↑ "19 Aug 1901 - A DARING RAID. ROBBERY UNDER ARMS. TRAMCAR STUCK...". Nla.gov.au. Retrieved 2015-03-08. ↑ "Auto-Modellbahn-Welt Hödl Straßenbahn und Oldtimertram Modelle". Hoedl-linie8.de. Retrieved 2015-03-08. ↑ "Straßenbahnmodelle, Eisenbahnmodelle, Werkzeugbau und Konstruktionsbüro Leopold Halling". Halling.at. 2015-02-25. Retrieved 2015-03-08. ↑ "Marktübersicht - Straßenbahnen - Straßenbahnfreunde Hemer". Strassenbahnfreunde-hemer.de. Retrieved 2015-03-08. ↑ "Home HO O N S New Products Price List Miscellaneous Join Email List Dealer Orders Retail Orders Contact". Bowser-trains.com. 1961-05-01. Retrieved 2015-03-08. 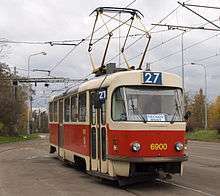 ↑ "St.-Petersburg Tram Collection". Sptc.spb.ru. Retrieved 2015-03-08. ↑ "Main". Q-Car Company. Retrieved 2015-03-08. ↑ "East Penn Traction Club - Home Page". Eastpenn.org. Retrieved 2015-03-08. ↑ "A Warm Welcome to Trolleyville!". Trolleyville.com. Retrieved 2015-03-08. ↑ "Tramway & Light Railway Society". Tramwayinfo.com. Retrieved 2015-03-08. Davies, W. K. J. 1986. "100 years of the Belgian vicinal: SNCV/NMVB, 1885–1985 : a century of secondary rail transport in Belgium" (ISBN 0-900433-97-3). Broxbourne, UK: Light Rail Transit Association. Wikimedia Commons has media related to Tram transport. "Tramway". 1911encyclopedia.org. 1911. Archived from the original on 2013-07-19. Retrieved 2015-04-12.